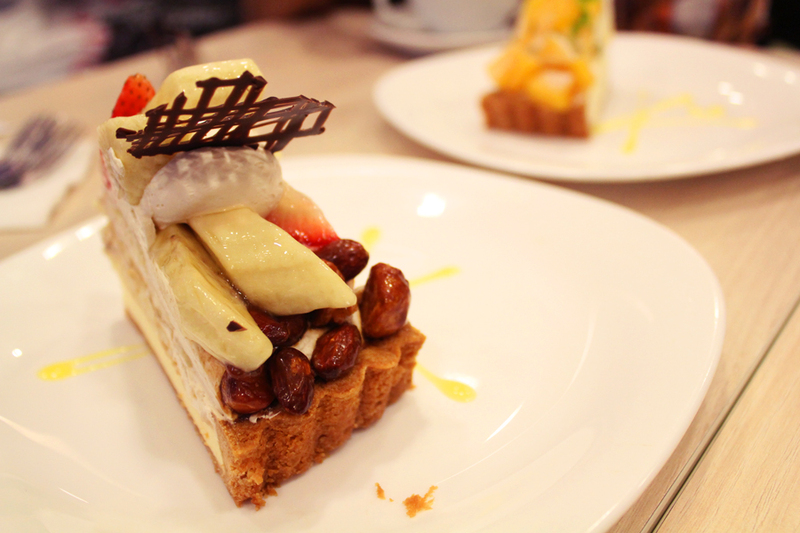 Tokyo Fruit Paradise, under the well-known Ajisen Ramen chain, offers fruit tarts made with natural goodness by using only the freshest and most delicious fruits, carefully selected by their Japanese Patissiers every day. Not only that their tantalizing tarts taste as delicious, their presentations look visually aesthetic as well, making salivating uncontrollable at the sight of these little pieces of haven. I would say, the Japanese are one of the best in presentation, making the simplest ingredients look sophisticated and artistic. Take for example, one of their top sellers - A hearty slice of custard-based Nutty Caramel (S$6.80/slice) tart, topped with fresh caramelized fruits, crunchy nuts and bittersweet chocolate garnish is my personal favourite when it comes to satisfying my sweet tooth. The main filling of every Western-style fruit tart is a selection of either chocolate, custard or cheese, then topped with an array of exclusive and artistically concocted mixture of fruits, frosting and garnishes. One of the aspect I thought they did well was the crust, its texture was crisp and just of the right thickness, but enough to support the whole tart. 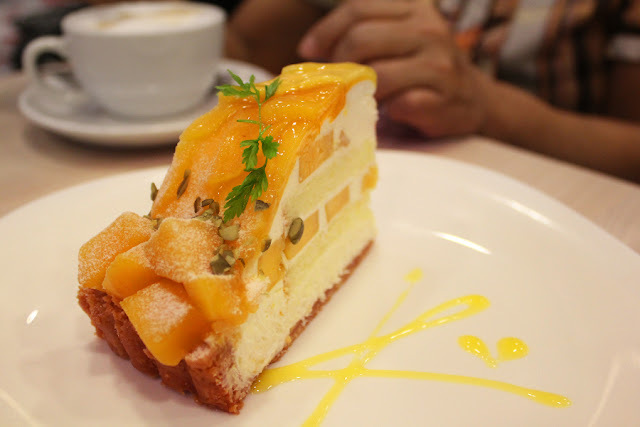 Such as the cheese-based Mango (S$6.80/slice) tart, which is topped with a pleasant amount of luscious mango slices, sprinkled with a thin layer of sugar icing - a perfect combination for both cheese and mango lovers. Besides the impressive array of fruit tarts, Tokyo Fruit Paradise serves a wide selection of fruit juices, as well as English blended teas, making it a recommended choice for high-tea or somewhere to chill out with a cup of tea.